These tapes have a dual impact for Beatle scholars. They are the earliest known recordings of the embryonic group that evolved into the Fabs. They were also made, according to available documentation, on the day John Lennon met Paul McCartney. 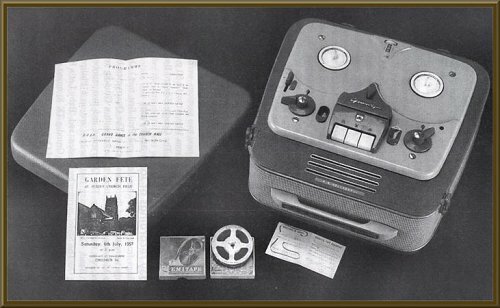 We thank Malcolm Atkinson for his research into this very historic recording. "It's a unique slice of history". That's how EMI's David Richards described a small reel-to-reel tape put up for auction at Sotheby's on September 15 1994 (Reuters, Sept 15 '94). On the tape is the unmistakeable voice of John Lennon, singing Elvis Presley's "Baby, Let's Play House" and the British skiffle song "Puttin' On The Style." 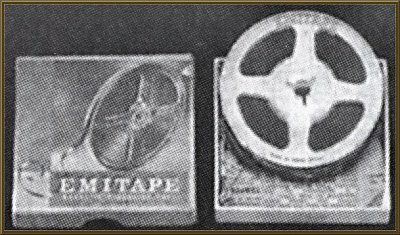 What makes this reel-to-reel tape so unique is that it is the earliest known recording of the future Beatle, predating the earliest known recording of Lennon by almost a year. In 1956, Lonnie Donegan and the Chris Barber Jazz Band, scored a Top 10 chart success with a version of Huddie Ledbetter's song 'Rock Island Line' (Beatle Trivia: In 1967, The Chris Barber Band would record the song "Catcall," a song written by Paul McCartney between 1957-60. Mark Lewisohn, The Beatles Live, 1986, p.24). Lonnie Donegan's subsequent solo success, with songs such as "Cumberland Gap" and "Gambling Man" started a craze that swept through the British Isles. With its use of instruments that could be fashioned out of ordinary household implements, such as the washboard and the tea-chest bass, and an "anybody can do it" attitude, teenagers across the country began forming skiffle bands. Amongst those smitten by the skiffle bug, was a sixteen year old Liverpudlian named John Lennon. 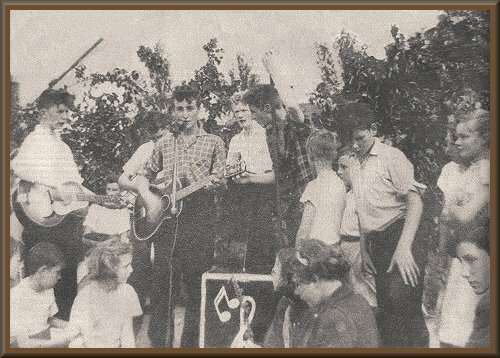 Although his interest in popular music had first been sparked by Elvis Presley's 1956 recording of "Heartbreak Hotel," it was skiffle that inspired Lennon to form a band in March 1957, after pursuading his Aunt Mimi to buy him a £17 guitar. Playing initially as the Black Jacks, with a school friend, Pete Shotton, on washboard, the group quickly renamed themselves the "Quarry Men," after a line in the school song of the Quarry Bank High School, which both boys attended. Joined by an ever changing line up of friends, the Quarry Men performed at parties and skiffle contests around Liverpool, even entering a talent contest run by TV celebrity Carroll Levis, although they didn't even qualify for the preliminary audition. 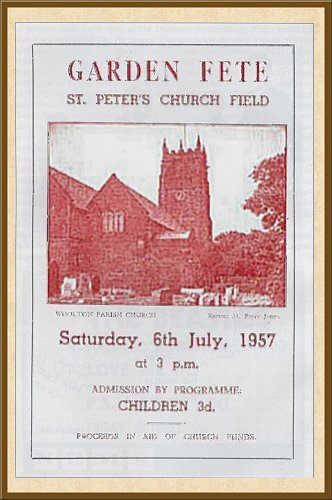 A month after the failed audition, Pete Shotton arranged for the group to perform at the summer fete of St Peter's Parish Church in Woolton, held on Saturday, July 6, 1957. 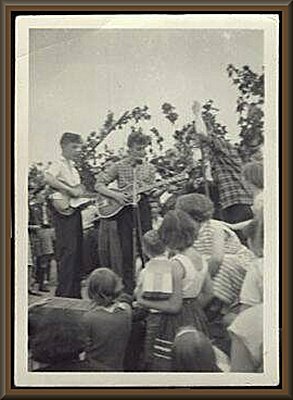 In the afternoon, they performed from a makeshift stage in the field behind the church. (A photo from that performance has appeared in numerous books, such as Lewisohn's "The Beatles Live!," p.14). Listening to the scratchy, first recordings of the future Beatle, Molyneux said, "They still give me goose pimples after 37 years" (Reuters, Sept 15 '94). 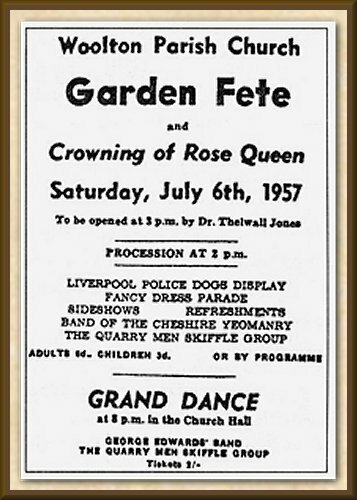 The discovery of these recordings would have been important in themselves, predating the Quarry Men's Summer 1958 recordings of "That'll Be The Day" and "In Spite Of All The Danger" by almost a year. However, these tapes had added importance because the day they were recorded, July 6, 1957, was the day 16-year-old Lennon first met a chubby-faced 15-year-old boy from nearby Allerton, called Paul McCartney. 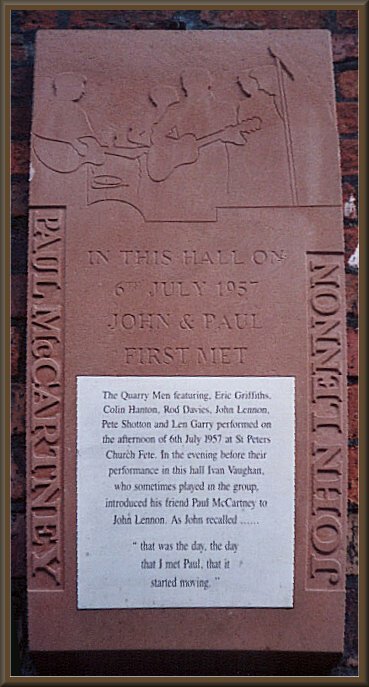 After the Quarry Men's afternoon set, McCartney was introduced to Lennon by a mutual friend, Ivan Vaughan (who occasionally played tea-chest bass with the group). As Paul was later to recall, in his foreward to Lennon's book "In His Own Write," "I was a a fat schoolboy and, as he leaned an arm on my shoulder, I realized that he was drunk. We were twelve then, but in spite of his sideboards, we went on to become teen-age pals" (Paul McCartney, "Introduction," in John Lennon "In His Own Write," 1964). McCartney grabbed a guitar and displayed his talents to the group, singing "Twenty Flight Rock" and "Be-Bop-A-Lula," both Lennon favorites. Not only could he remember all the words to both songs, which impressed Lennon no end, but the fifteen year old could also tune a guitar, a feat none of the other Quarry Men had yet mastered. As Mark Lewisohn notes, "That day, the seeds of a relationship which would rock the entertainment world was sown: the partnership of Lennon and McCartney" (Lewisohn, p.15). Two weeks later, meeting McCartney while cycling through Woolton, Pete Shotton, on behalf of John and the group, invited McCartney to join the group. The rest is, as they say, history. On September 15, 1994, the Molyneux tape was put up for auction at Sotheby's. Before bidding began, the auctioneer played a short fragment of "Puttin' On The Style" for prospective bidders. The historic tape eventually sold for £78,500, making it the most expensive recording ever sold at auction (Record Collector, Nov '95, p.24). The lucky bidder; Lennon's former record company, EMI Records. EMI considered releasing the recording as part of the 1995/96 "Anthology" series, but even after the tape had been cleaned up in the studio, EMI decided that the sonic quality of the recordings were not up to the standard set for prospective "Anthology" album or TV material. This was confirmed by New York Times journalist Allan Kozinn, who described the sound quality of the restored version of the tapes as appalling. When asked about the recordings, Apple spokesman Derek Taylor said he didn't even know what had become of the tape. Bob Smeaton, producer of "The Beatles Anthology" TV series and subsequent videos, was slightly more forthcoming, saying, "If you listen to [the tape], it sounds OK on a cassette machine, but it wasn't really up to scratch to include in the TV programme. I would have, but it wasn't my decision. Yoko owns it (sic), and I think she wants to use it in the future on one of her John Lennon projects. The longer you hold on to something, the greater its value becomes." (Record Collector, Dec '95, p.26). A 30 second excerpt of "Puttin' On The Style" was released to media outlets to promote the auction. The clip subsequently turned up on "Puttin' On The Style" on Black Dog Records.